The kids are running around the house, you are running late, trying to cook breakfast and get out the door. Does this sound like your mornings? Many New York City women have tuff schedules jammed packed with things to do. The one thing that gets sacrificed is the makeup routine. But, it doesn’t have to happen anymore. The following quick makeup tips will have you looking forward to your morning routine every day. Makeup lines created an all over cover stick for busy women. This one color is used on your eyelids, cheeks, and lips. This means with a few quick swipes of this amazing stick you have eyeshadow, blush and lipstick applied in under one minute. Make sure you choose a color that complements your skin and is a natural color tone. You can apply it at home, in the taxi, on the subway and even walking down the street. Your eyebrows add dimension and expression to your face. If you don’t have time to do anything else in the morning, do your eyebrows. A well shaped full eyebrow can do wonders for your look. Use a brow pencil or shadow to fill in spaces. Your eyebrows should look well put together and create a strong feature. Shaping your eyebrows to suit your face shape is essential to creating the perfect brow. All women want their skin to look healthy. A quick application of foundation can create the desired look. When you don’t have time for foundation grab the concealer and apply it under the eyes and to all red or dark areas on your skin. Cover with a translucent powder and get out the door quickly. This will give you an overall fresh look that will last all day. Many women go wild with bronzer and make themselves look like they fell asleep in the sun or tanning bed. Don’t let this happen to you. A quick application and sweep across the cheekbones, forehead, chin and bridge of the nose will create a natural glow. You can even use it as eyeshadow. Make sure you choose a color that is a slightly warmer tone compared to your natural skin color. A secret to looking great without makeup is keeping your skin healthy and glowing. Luckily, many cosmetic companies have created a tinted moisturizer. This magic wand can bring you from plain and boring to healthy and glowing in an instant. A quick application all over your face and neck can enhance your natural beauty and make you feel confident all day. They say the eyes are the gateway to the soul. This is absolutely true when it comes to busy mornings and lack of sleep. Your eyes will tell the truth. A quick application of eyeliner will draw attention to their beauty and hide a multitude of sins. Apply a thin line of eyeliner to the top lid and on the waterline of your bottom lid. Choose a long-lasting eyeliner so that you don’t have to reapply during the day. Long beautiful eyelashes will allow you to get away with almost anything. The lashes will draw attention to your beautiful eyes and allow you to get away with not applying any makeup at all. It’s best to have a professional apply your lashes until you learn how to do it yourself. Apply mascara to your upper and lower lashes to make your eyes pop. A quick application takes less than 30 seconds and lasts all day. It draws attention to your eyes and will make you feel confident in any situation. Under eye circles are common among many women. Women have spent years using concealer to cover dark circles and camouflage bags under their eyes. But did you know you might be applying it wrong? To get the best results you need to apply the concealer in the crease of the dark circle only. Dark circles form due to a variety of reasons including, heredity, lack of sleep, sinus issues and more. Applying the concealer to the darkest area only, allows it to blend in with your natural skin tone. If you have time you can do a quick application of foundation first, then apply the concealer afterward for an overall blended look. Skin highlighters come in pearl, white and cream colors. They should be applied in the corner of the eye, the center of the eyelid, arch of the eyebrow and cheekbone area. This will open up your eyes causing you to look more vibrant and awake, as well as highlight your cheekbone and face structure. This quick and easy tip takes about 30 seconds or less. A major secret to looking great without makeup or with minimum makeup is planning ahead. Your schedule is so busy you don’t have time to create the ultimate makeup look you desire. Going through your day in the city looking and feeling less than desirable can really cause your self-esteem to drop. You want to remain to look and feel your best. Plan ahead by purchasing the right products that make you look your best. 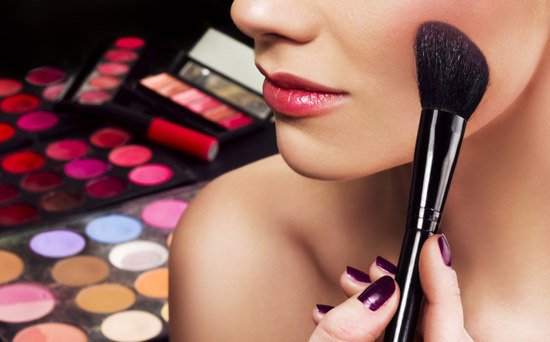 Practice applying beauty products until you are comfortable with each option. Depending on your busy schedule you can choose a different option each day to keep things fresh and new. Carry the products in your purse so you can apply them while on the move. A quick 10 seconds can make all the difference in the world. 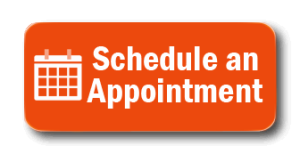 Interested in scheduling your makeup appointment in Tribeca, NYC? Contact Ethan Rose Salon today.